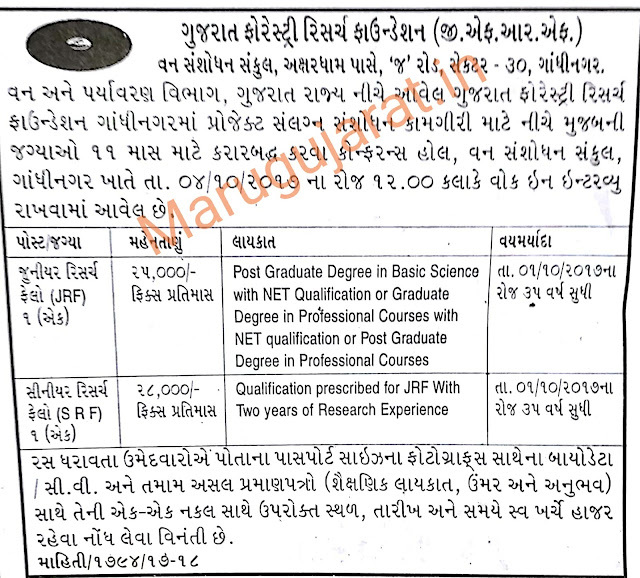 Gujarat Forestry Research Foundation (GFRF) has published Advertisement for below mentioned Posts 2017. Other details like age limit, educational qualification, selection process, application fee and how to apply are given below. Post Graduate Degree in Basic Science with NET Qualification or Graduate Degree in Professional Courses with NET qualification or Post Graduate Degree in Professional Courses. 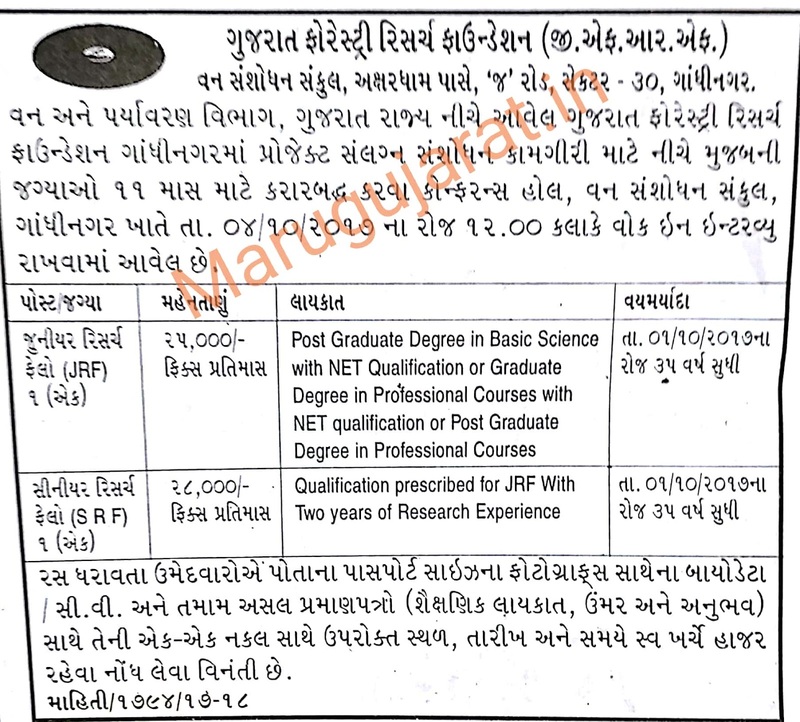 Qualification prescribed for JRF with Two years of Research Experience. Walk-in-Interview: 04-10-2017 at 12:00 p.m.